Rich Low Hair at Serandi Salon - Laguna Beach Hair Salon Reviews: "If you want the best, you must see Richard." Laguna Beach Hair Salon Reviews: "If you want the best, you must see Richard." "I first got a cut from Richard in 2008 right before I moved to Los Angeles. The cut and color were so amazing that I continued to drive to Orange County to get my hair done. I've tried a few different stylists in Los Angeles (for the sake of convenience) and truly, no one has compared. I trust him so completely with my hair that whenever I go, I just tell him to do whatever he wants. Every single time, it ends up being the best haircut of my life. He's kind and personable, and reasonably priced...even for someone who's driving an hour and a half to see him. My mom, my aunt, my cousin, and her daughter now all get their hair cut from Richard, and they all agree--he's the best.﻿"
"Richard has been cutting my hair for over a decade. I stumbled upon him as a walk in at another salon when I moved to Laguna Niguel. His attention to detail was second to none and I loved my haircut. When I returned home, my wife asked where I got the cut and promptly told me never to go anywhere else. She also has become a 12 year client of his. Her friends always rave about her color and cuts. If you want the best, you must see Richard. You won't be disappointed.﻿"
"Great stylist with a professional manner and super, super excellent with color. I had my hair done this weekend and couldn't have been more thrilled with the color and cut. The salon is in a great location and people there are super friendly.﻿"
"Wow what a great find! FINALLY we found someone who does GREAT styling and color for men. My husband is sooo HAPPY, and so am I! Rich colored it with a sun bleached look and styled it long, exactly what my husband was hoping for. My husband has been through several stylist and each time it has been a disappointment, but not this time. Rich knows what he is doing, that is for sure! Yay!﻿"
"...I have extremely difficult hair to cut as it's thick and wiry; most people in the past have made mincemeat out of it. Rich's extensive training by exclusive cut and color experts (Toni&Guy, etc. ) gives him a large repertoire of techniques from which to choose when he approaches your hair. The proof in the pudding is the compliments I receive frequently about my hair. Other stylists have asked me who does my hair and have commented on the perfection of the cut. I have referred many friends to Rich over the years and have only heard rave reviews.﻿"
"Richard is so Talented! Not only is he Amazing at what he does,he has a big heart. I always look forward in getting my hair done! Thanks Richard!﻿"
"I have been having Rich cut my hair for over 10 years. He does a great job with men's hair and he is willing to fit me into his schedule when possible to fit my schedule. He is a great person too and really cares about his craft!﻿"
"...This past color appointment Rich added an Olaplex treatment noting my hair was very porous (I have been rather brutal to it with lots of blowdrying and flatironing). My coworkers noticed a difference immediately (I looked much less Rob Machado frizz-curl and much more smoothed out old Hollywood glam).﻿"
"Richard has been my hair stylist and colorist for years. I have tried other salons closer to my house but find that his perfection and professionalism are worth my drive to Laguna Beach (plus the salon parking is super easy). He is dedicated to his career and always makes sure his color and cut techniques stay "cutting edge". Richard is never rushed and always spends the amount of time necessary to make sure each client leaves with hair perfection. 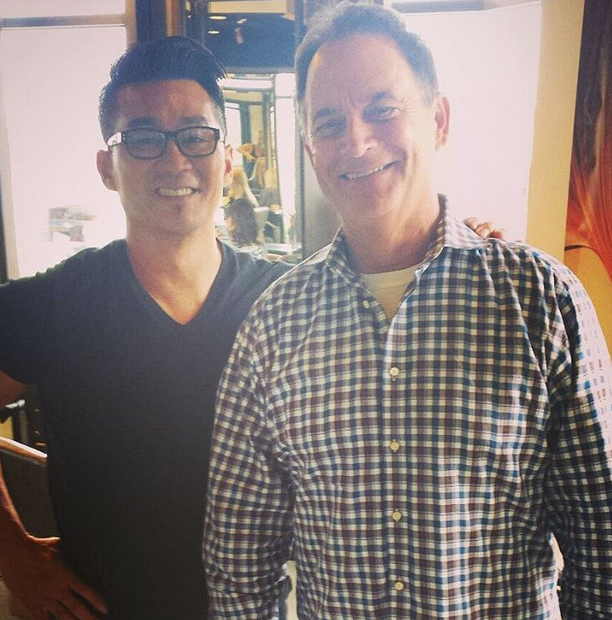 ﻿"
"Richard has been cutting my hair for over 15 years now. I've followed him around from salon to salon and even flew into town once a quarter, when I lived out of the country. I love the way he cuts my hair and I especially love the compliments I get after he's given me my latest cut and style." Hairstylist and Board Certified Haircolorist Rich Low Hair at Serandi Salon is located in the Woods Cove neighborhood of Laguna Beach, steps from the Pacific Ocean. Situated on the corner of Pearl Street and Pacific Coast Highway, complimentary underground parking is located below salon. Gift Cards available. Web Hosting by Yahoo! ﻿﻿Copyright 2018 Rich Low Hair Design. All rights reserved.